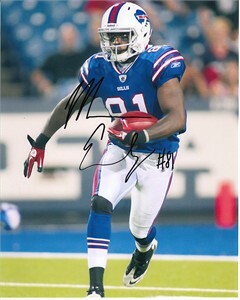 8x10 action photo autographed in black marker by former Buffalo Bills wide receiver and special teams star Marcus Easley. Obtained in person. With certificate of authenticity from AutographsForSale.com. ONLY ONE AVAILABLE FOR SALE.